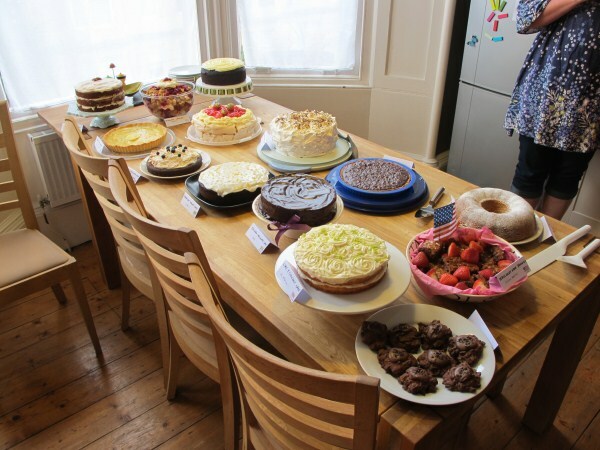 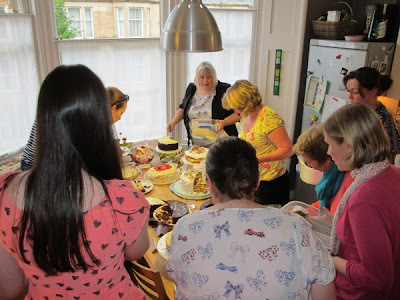 After the huge success of the first meeting of Glasgow Baking Club, the second meeting was organised, this time the venue was my own kitchen (I volunteered as they were looking for another venue which could hold 15-20 people). 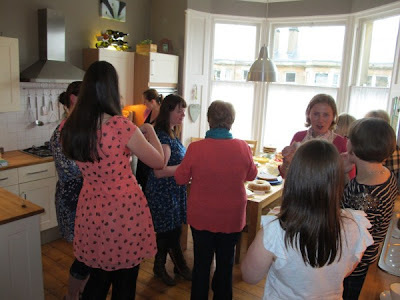 Again, it was a huge success and we all had a great time eating and chatting! 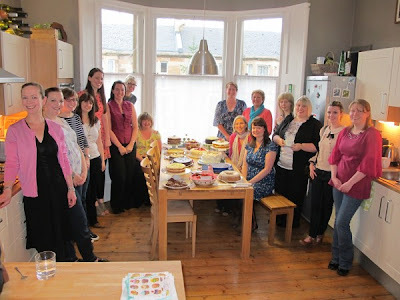 Thanks again to Ali for organising it all. 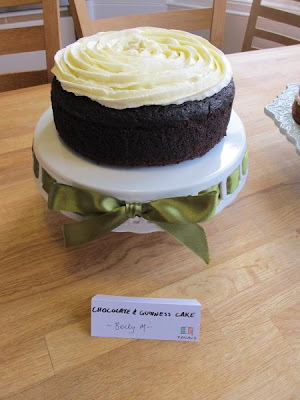 This time the theme was 'Time for a Bakeation' and I chose to make Nigella's amazing Chocolate Guinness Cake so my place was Ireland. I think half of the people did it this way round, deciding what they wanted to make and then fitting the country to match and the rest chose a country first. 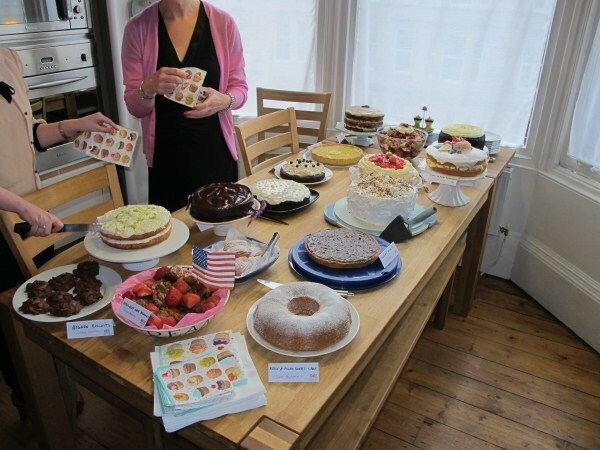 There was a brilliant variation of bakes (you can see them all in Ali's review here) and I loved tasting as many as I could manage. 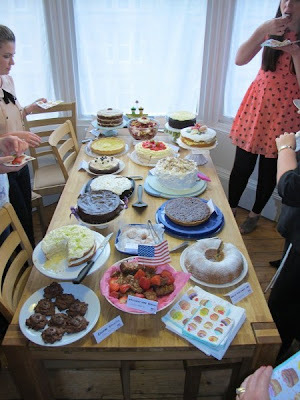 I had tactics this time having only slivers of what I wanted to taste so I could try more before getting full! There were a few drop outs at the last minute due to various illnesses so we ended up with 16 people this time. After some quick introductions and some tea & coffee organisation (huge thanks to hubby for helping me out with them and for taking some of the photos!) 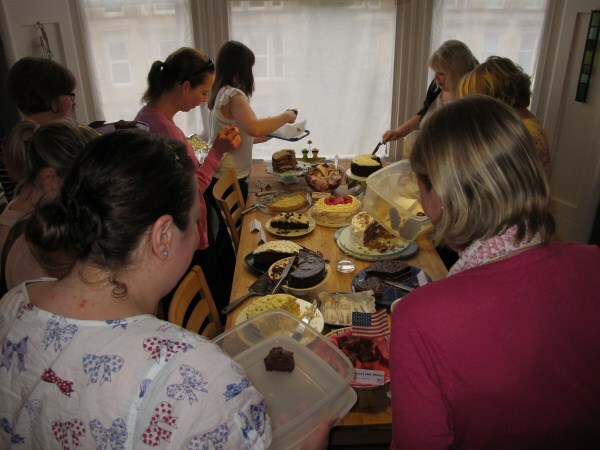 everyone got stuck in. 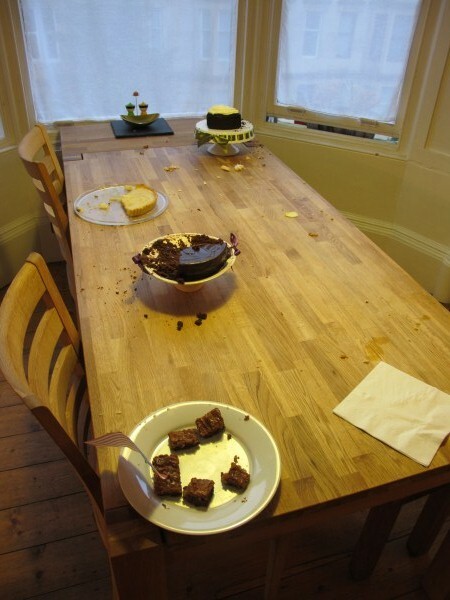 At 9pm we rounded up the evening and everyone filled their Tupperware with the leftovers so I wasn't left with a mountain of cakes. If anyone knows whose white plate that is left at the front - please let me know! All the others left have been claimed :) Everyone donated £1 or so towards the tea & coffee with any cash left to be donated to charity but as we just used the stuff we already had and I have no idea (nor do I care and I'm sure it would be minimal) how much that cost, the full £23 will be donated to Yorkhill Children's Hospital. 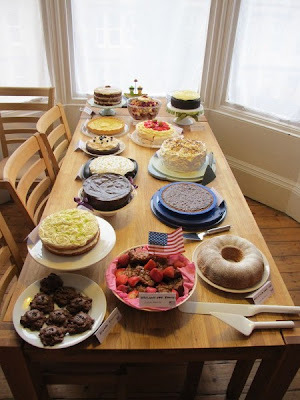 I think I need to find a cake club!